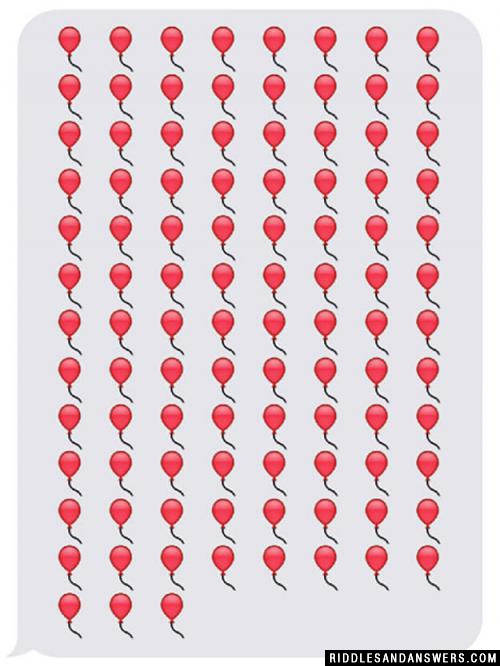 Can you solve the balloon emoji riddle? I'm flat when I'm new. I'm fat when you use me. I release my gas when something sharp touches me. What am I? I fly like a bird of many colors through the sky. I am made with both wood and fire but I do not burn up. You can see me clearly during the day, but I am nearly invisible at night. What am I? I am something that floats but after a period of time I fall what am i? Can you come up with a cool, funny or clever Balloon Riddles of your own? Post it below (without the answer) to see if you can stump our users.